And fly high to their aspirations? In Taiwan, there are over 160,000 children from dysfunctional families who lack suitable family members to provide decent care, or come from families that can barely support them. 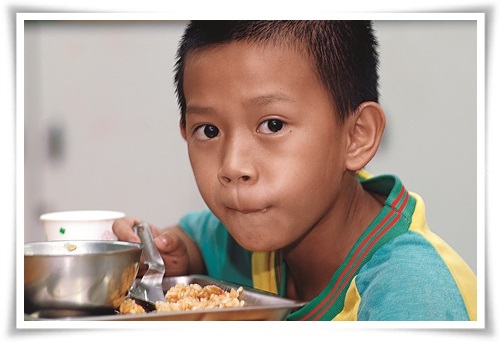 Seeing their needs, the Eden Social Welfare Foundation has implemented programs including “Making Rural Schools Unique”, “Happy Breakfast”, “Post-class Care”, etc., since 2006, in order to provide a safe harbor for those children. For minority groups overseas, the Foundation upholds the spirit of “brotherhood needs no blood relationship”, and has established many service centers in Malaysia, Thailand, Vietnam and the Philippines. The Foundation helps to integrates local resources and spread our love internationally. The Eden Social Welfare Foundation believes in “using the right man for the right job”. It has collaborated with hundreds of local administrative units, and provided services to dysfunctional families in local communities based on local government’ policy, including providing nutritional and health support, moral education, and community education support. For our overseas friends in need, in 2004, the Foundation launched the Working Holiday program to invite young adults to form “Service Tour Groups”, to provide volunteer services in Northern Thailand, and Qinghai and Gansu of China. The young adults gain spiritual growth and experiences in community services through this program. Manzhou Village in Pingdong County is located at the most Southern point of Taiwan. The rate of outward migration is high and educational resources are scarce. Sister Lee saw the difficulties the locals are facing and worked together with Eden to arrange after school care for the children. This effort not only made up for the educational gap at school but also took the pressure off parents’ shoulders and changed the course of these children’s lives.